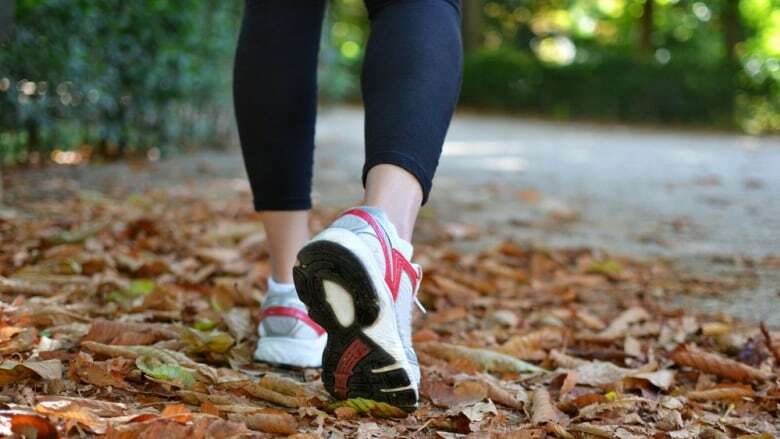 Most people who count how many steps they walk every day are focused on the goal of 10,000, but Dr. Catrine Tudor-Locke says there is nothing magic about that number. Ten thousand steps per day is a familiar fitness goal that has been touted as the health holy grail for decades. But according to Dr. Catrine Tudor-Locke, an expert in walking behaviour, it's not based on science. It was invented by a Japanese company that produced a pedometer called the manpo-kei – or 10,000-step meter – at the time of the 1964 Olympics in Tokyo. "This was a product that was released with a slogan, and it resonated with the Japanese people just before the Olympics, and they were manpo-kei'ing all over the place!" she told The Sunday Edition's host Michael Enright. Since then, a number of health organizations have endorsed this number, including the YMCA, the World Health Organization and ParticipAction. "It's not like the sky opens up and the angels sing at 10,000," said Tudor-Locke, who runs the Center for Personalized Health Monitoring at the University of Massachusetts Amherst. "But if you wanted a true translation of public health guidelines, which currently are 150 minutes per week of moderate to vigorous physical activity, if you wanted a step-based translation, it's more like 7,500 steps per day." Tudor-Locke says there is nothing wrong with the goal of 10,000, but 12,000 is better and 15,000 is even better. "The highest numbers we are aware of right now are for Amish people in Canada who do not use any motorized equipment or any electrical equipment, and the men are averaging about 18,000 steps per day and the women are averaging about 14,500 steps per day," she said, in reference to the Amish who live near Kitchener and Waterloo in Ontario. Tudor-Locke says our walking pace matters too. "Right now, I'm funded by the National Institutes of Health to come up with cadence – or steps-per-minute thresholds – that are associated with moderate and vigorous intensity." For moderate intensity, she says we should be walking 100 steps per minute, a pace that should not be challenging for most people. Tudor-Locke admits she doesn't wear a device to count her own steps: "All you need to do is focus on walking frequently, farther and faster, and the numbers take care of themselves!" Why aren't most women represented in the last names of their children?